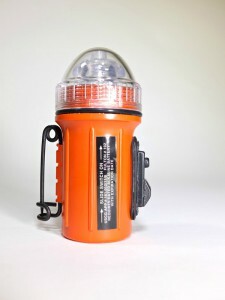 1 D-Cell PFD (personal flotation device) waterproof light with the 458 bulb. USCG Approval 161.012/11/0. Required to have at least three year battery life . Orange body, easily attaches to life vest or jacket. Positive On/Off switch.